Used effectively email marketing plays a pivotal role in your marketing channel mix. If not used effectively, the result will be low open rates and even lower response and conversion rates. Here are Blue Star Direct’s top ten tips for developing and executing email campaigns that deliver ROI. The subject line is the single most important element of your eDM. Get it wrong and your email won’t get opened. So no matter how creative and engaging the rest of the eDM, it becomes completely irrelevant. Those six to ten words (give or take) are the key to getting your message delivered. The subject line must make the recipient want to know more. The preheader is the text following the subject line when an email is preview. It’s the third element of an email that the recipient sees, after the sender name and the subject line, so it’s vitally important but often overlooked. This copy should be used for a call to action and/or a summary of the content of your email. Use dynamic content to make your eDM relevant to your individual customers. You can personalise by gender, age, location, buying history, the list goes on. You can segment the data and personalise an offer. The more relevant the eDM is, the higher your conversion rates will be. Your messaging must still cut-through even if the recipient’s images are set to off. Test this and make sure your core message is still communicated. Don’t display the offer or call to action as image only. Using at least a 50/50 ratio of images to text and ensuring all the core messages appear in the text, is a good rule of thumb. A/B testing is an effective tool to get to know what works for your audience and what delivers ROI. And email is the perfect medium for it because producing increased versions doesn’t drive up the production cost (as can be the case with print). Your call to action should be bold and simple. What do you want the recipient to do? Whether it’s ‘Register Now’, ‘Complete our Survey’ or ‘Redeem your voucher’, buttons are effective across both desktop and mobile. The last thing you want to do is eliminate segments of your audience based on their browser version. Create html and plain text versions of your eDM as well as a link to an online version to accommodate everyone’s needs. eDM presents the perfect opportunity to encourage additional opt-ins. If it’s a welcome eDM, push additional opt-in for your newsletter or ongoing offers. That way you create an ongoing relationship with your new customer. To be compliant with the Australian Privacy Principles, opt-outs need to always be presented clearly. The holy grail of DM is measurement. Knowing how your customers respond is absolutely vital. Make sure you’re tracking the number of emails delivered, open rates, click through rates and conversion rates. And learn from these measurements (see tip number 6). If open rates are low, change your subject line and see whether you get any lift. If click through rates could be better, look at the design of your CTA and make sure it’s as prominent as it could be. 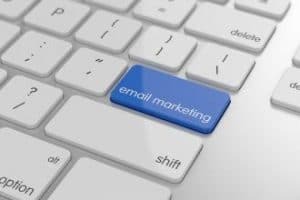 Get these practices in place and you’re well in the way to effective email marketing. At Blue Star Direct, we’ve recently partnered with salesforce.com company ExactTarget who are world leading innovators in email marketing. Leveraging this relationship, we’re working with our clients to ensure that they’re executing email marketing that really works.